Tug of War is the debut album by Canadian singer/songwriter Carly Rae Jepsen, who came in third on the fifth season of Canadian Idol. 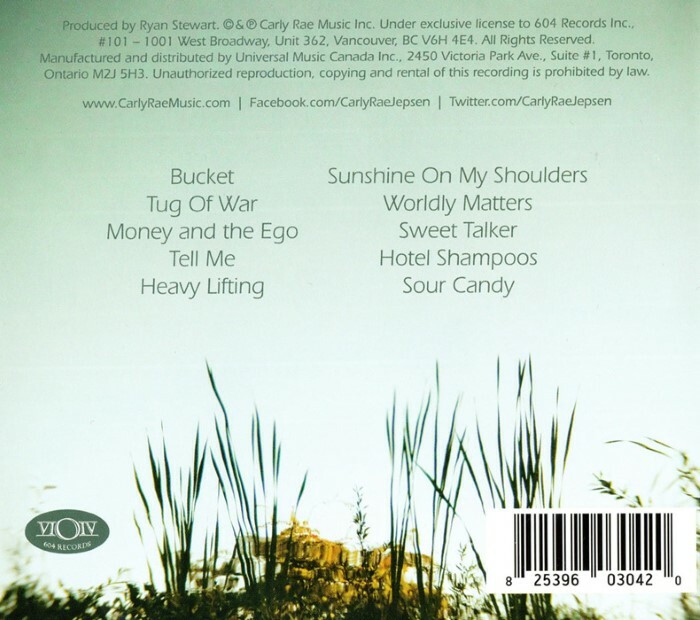 The album was released in Canada on September 30, 2008 and was produced by Canadian producer/writer Ryan Stewart. The album's lead single, a cover of John Denver's song "Sunshine on My Shoulders", was released on the iTunes Store on June 16, 2008. The second single, "Tug of War", was released on iTunes on September 16, 2008 and peaked at #36 on the Canadian Hot 100. The music video was released in January 2009. The third single "Bucket" peaked at #32 on the Canadian Hot 100, and samples the children's song, "There's a Hole in My Bucket" and its music video was released in May 2009. The fourth and final single from the album was "Sour Candy", which features Josh Ramsay of Marianas Trench on the single version. On June 14, 2011, the album was released in the United States via iTunes Store.